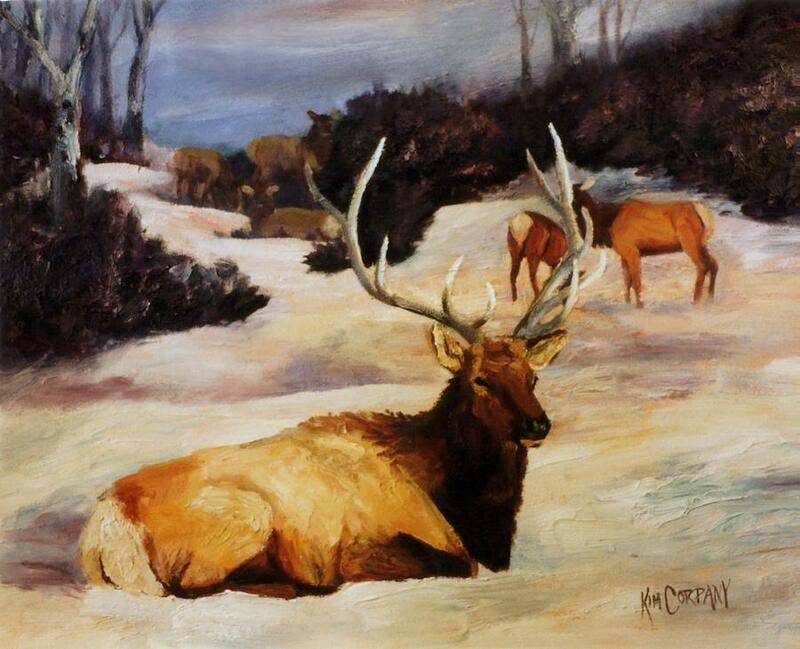 Bedded Down Bull Elk In Snow is a painting by Kim Corpany which was uploaded on July 15th, 2010. 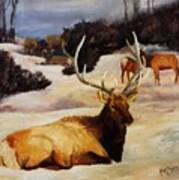 A bull elk resting in the snow. Image copyright Kim Corpany. All rights reserved. 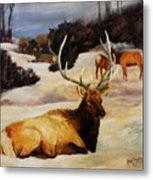 The Fine Art America watermark which appears on the internet image will not be present on purchased prints.